Hi everyone! Nick here again, bringing you more exciting games from the Japanese mobile market! Today I am bringing you one of the top-grossing hit games on the Japanese Apple iTunes App Store, called 閃きの爽快パズル SLUSH - スラッシュ　完全無料!, or translated as Exhilarating puzzle inspiration SLUSH - slash completely Free! or, just SLUSH, developed and published by Goodroid Inc.! I found this game to be a super-simple and fun puzzle game that you guys might have fun enjoying too! Let's check it out! The developers have coined this game to be "simple operation and straightforward rules" and I really couldn't agree more! 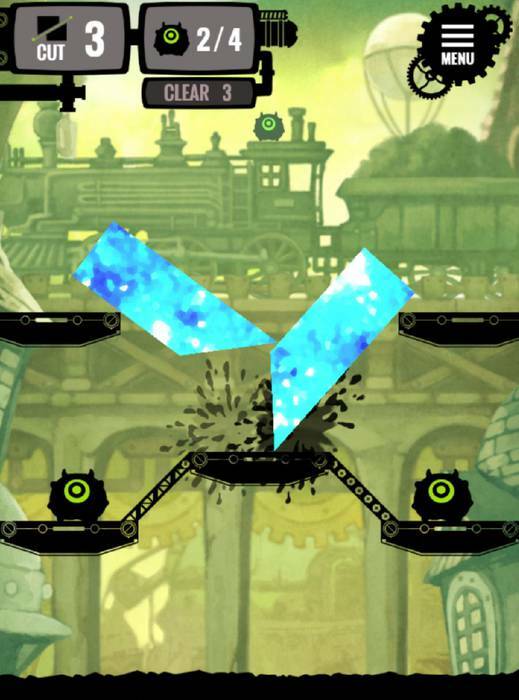 Basically, the goal of the game is to chop up different pieces of tiles into bits using swiping gestures on your phone. These pieces of tile will fall and kill the little creatures of the game! In order to clear a level with the highest score you must chop the tiles efficiently, while also being able to kill off all of the little slush creatures! It is a pretty addictive and fun game, I am sort of surprised it hasn't seen itself on the American iTunes Store yet! Not all blocks have the same rules, either! 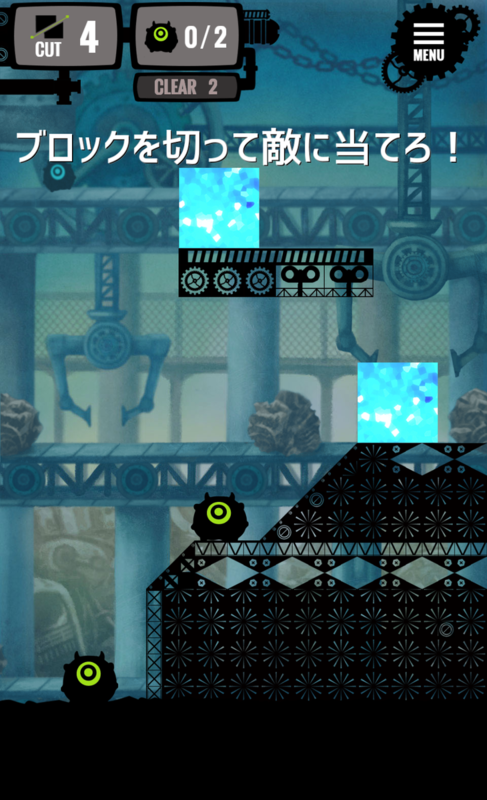 For example, the blue tiles have a straight-forward approach but then when you encounter red and other sorts of tiles they have different rules which makes the game even tougher. The tiles fall and bounce around with a pretty cool algorithm of physics that will make you feel like you are actually chopping blocks and watching them fall onto the creepy slush creatures! Above, I've actually included a video of a Japanese player's gameplay so that you can get a more hands-on feel of how SLUSH works, and if you think it would be worthwhile downloading for yourself. As expected, SLUSH is available free to download and play on the Japan Apple iTunes App Store. If you do not yet have a Japanese Apple ID (otherwise known as a Japanese iTunes Account) we have a quick guide prepared for you right here! At JapanCodeSupply, we work hard to bring you the best, prices safety and digital delivery speed of your Japan iTunes Gift Cards, so that you can enjoy awesome content like this!